DreamCloud Mattress Review| Read Our Review Before Ordering! 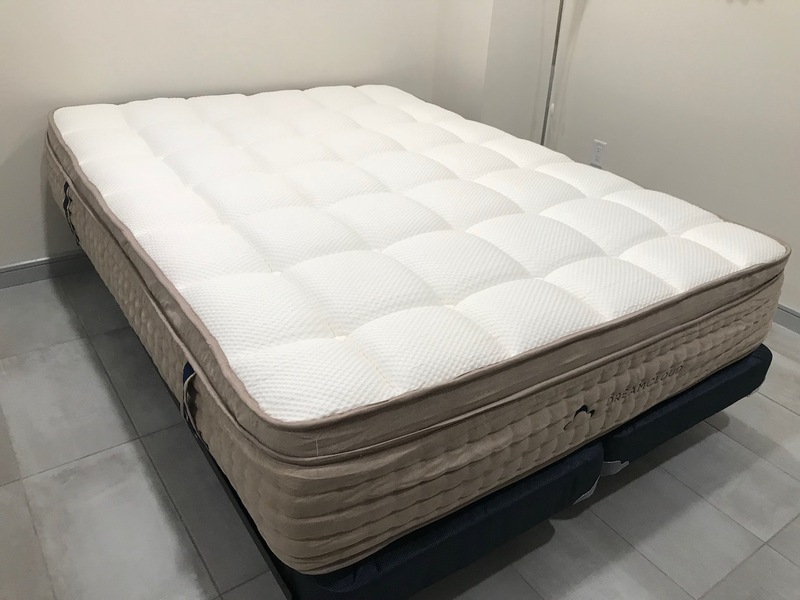 This DreamCloud Mattress Review was recently completed by the MattressJunkie.com team. DreamCloud is a luxury hybrid mattress that recently hit the direct to consumer mattress industry. DreamCloud’s 8 layer system and luxury design gives consumers an opportunity to own a high end mattress at an affordable price. DreamCloud’s white glove delivery and set up that includes disposing of your old mattress, one time cleaning, and reconditioning after 5 years adds a layer of convenience and service on top of their mattress offering that no one else offers in the direct to consumer mattress industry. Check out more below and find out if the luxurious DreamCloud is a good fit for your sleep style. Tell me more about the DreamCloud Mattress cover. The Dreamcloud Mattress features an ultra-soft cashmere cover that is naturally resistant to bed bugs. Cashmere is luxurious and breathable so that gives you a cool sleeping surface throughout the sleep session. 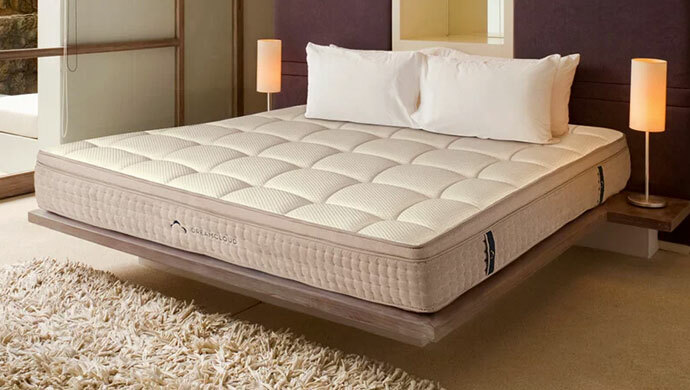 Each DreamCloud Mattress also goes through a tufting process. Tufting is the process of running a cord through the mattress compressing the mattress layers. By binding the layers together, the mattress provides firm, unparalleled support and durability over time. Mattresses that do not use the tufting process usually use glue and begin to sag over time. The cashmere, tufted euro top serves as a contouring pillow that cradles the body. What’s Under the DreamCloud Mattress cover? 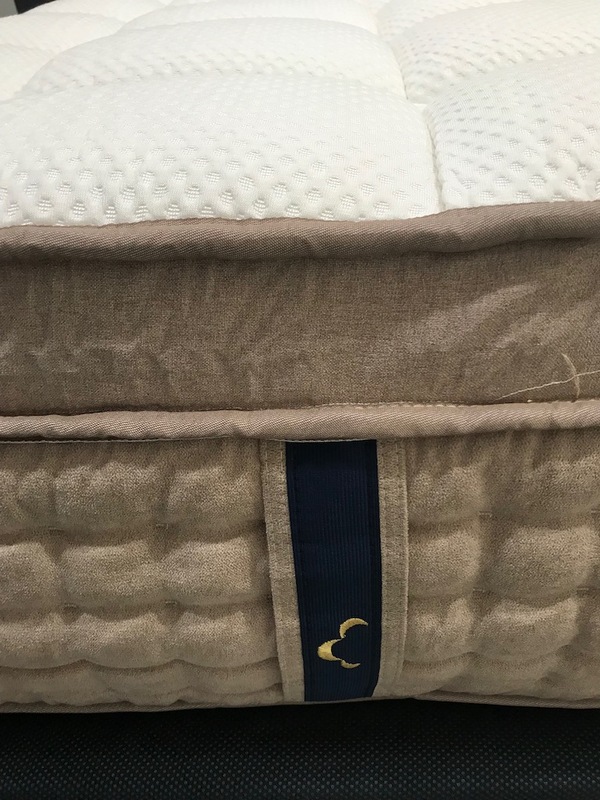 The hybrid DreamCloud Mattress has 8 layers making up the 15 inches in total height under the cashmere cover. The 2nd layer is gel infused memory foam. The gel does a great good with temperature regulation while also providing a comfort layer directly under the mattress. Layer 7- DreamCloud’s patent pending “Best Rest” coils- 5 zones of foam encased pocketed microcoil compression system for head to toe support. 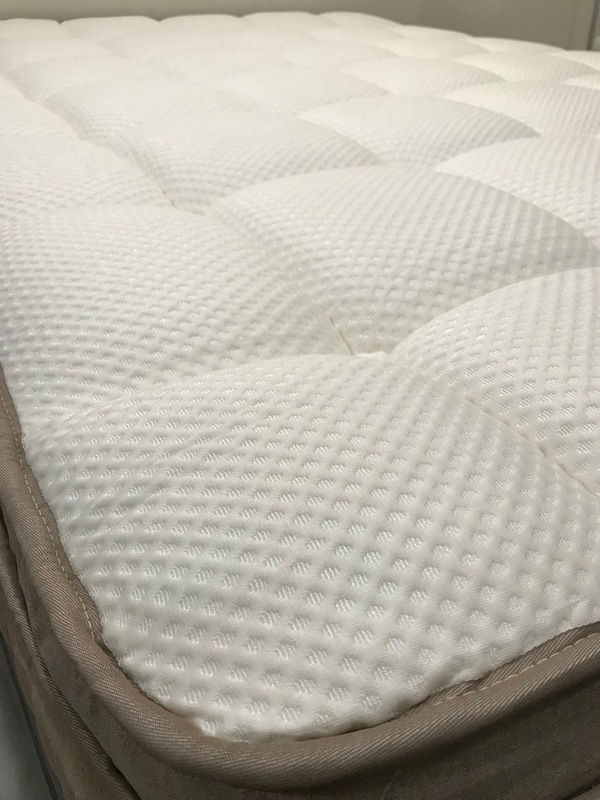 Layer 8- High density, super soft memory foam- This layer provides durability and long-term support for years to come. What Sleep Style Works Best with the DreamCloud Mattress? The DreamCloud Mattress is the first 15 inch tall mattress shipped direct to consumer that accommodates all sleep styles. What type of base should I place my DreamCloud Mattress on? We reviewed our DreamCloud Mattress on a platform base but box springs and traditional bed frames would also work well. Mattresses will sometimes have a slight odor when unrolled from the compressed packaging. This is called ‘off gassing’ and is often described similar to a new car smell. Once you open your mattress, let it breath to fully inflate. This will eliminate the majority of the scent. I usually find the odor to be unnoticeable within 24 hours or so. The DreamCloud Mattress did not have a strong odor so off gassing shouldn’t be an issue with this mattress. The DreamCloud Mattress slept cool all night long. 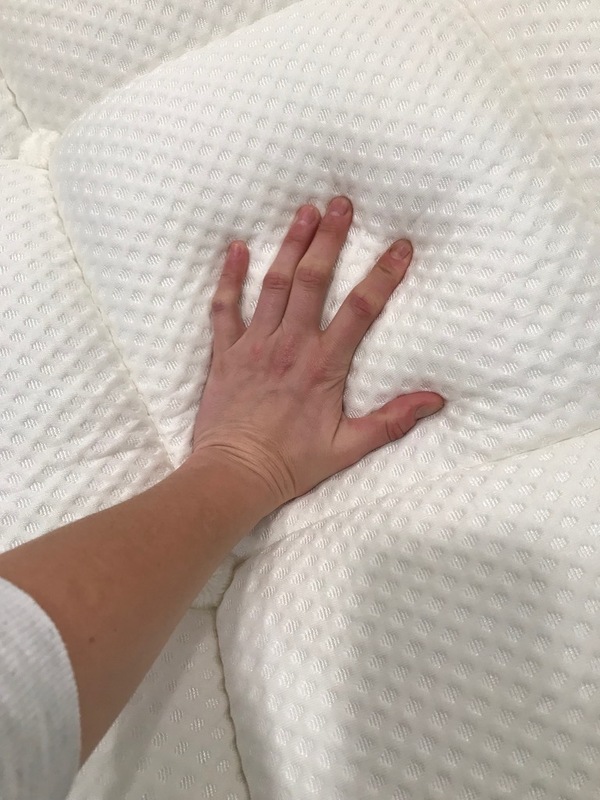 Every layer of the DreamCloud Mattress is designed to regulate temperature so this mattress was one of the coolest sleeping mattresses we have reviewed. What Type of Warranty and Sleep Trial does DreamCloud offer on this mattress? The DreamCloud Mattress has an lifetime warranty. DreamCloud also cleans your mattress for free once per lifetime and will recondition the mattress to like new condition after 5 years. This warranty and service offering is the best in the industry. DreamCloud’s sleep trial is also the longest in the industry at 365 days. Sleep on it for a whole year and still get a full refund if you aren’t happy. How much does the DreamCloud Mattress cost? Do we recommend the DreamCloud Mattress? The mattress is as nice as the name. DreamCloud’s mattress has a lifetime warranty, cleaning, reconditioning, and shipped to you for extremely affordable prices. You can sleep on it for 365 days just to be sure it’s the one. With this type of offer, DreamCloud is very tough to beat. The better thing is the 15 inch hybrid is so nice, you will definitely be upgrading your sleep. If you need a new mattress and are looking for a hybrid, DreamCloud would be my first choice. Order the DreamCloud Mattress here…..